New campaign ‘Normal Day’ showcases the Army’s role and relevance in changing times. 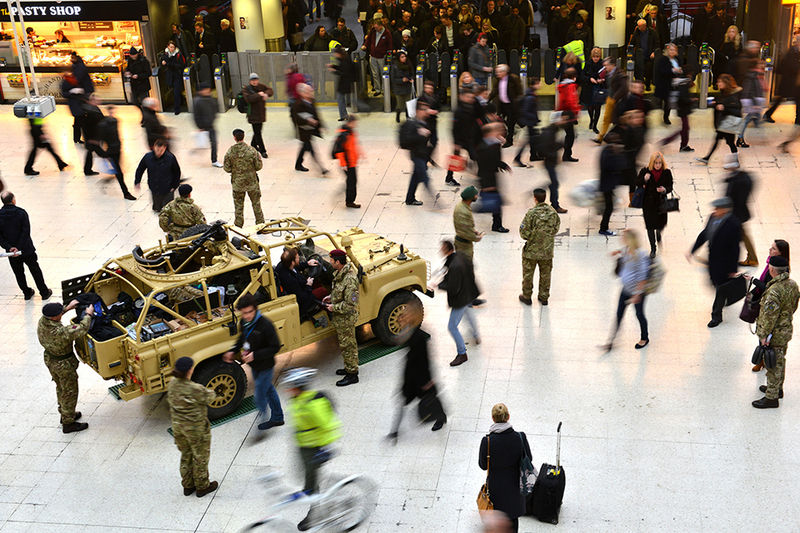 Lance Corporal James Nash, 101 Regt Royal Engineers, talks to members of the public about the Army Reserve at Waterloo station. 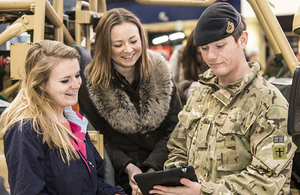 The new Army Reserve recruitment campaign launches today with a series of recruitment events up and down the country. It aims to showcase to potential reservists, aged 18 – 50, how a role in the Army Reserve can help fill the gaps missing in people’s civilian careers, with the additional benefit of being paid while training (including regular promotions and pay rises), the chance to train and work alongside the Regular Army and the minimum commitment of 19 days a year. 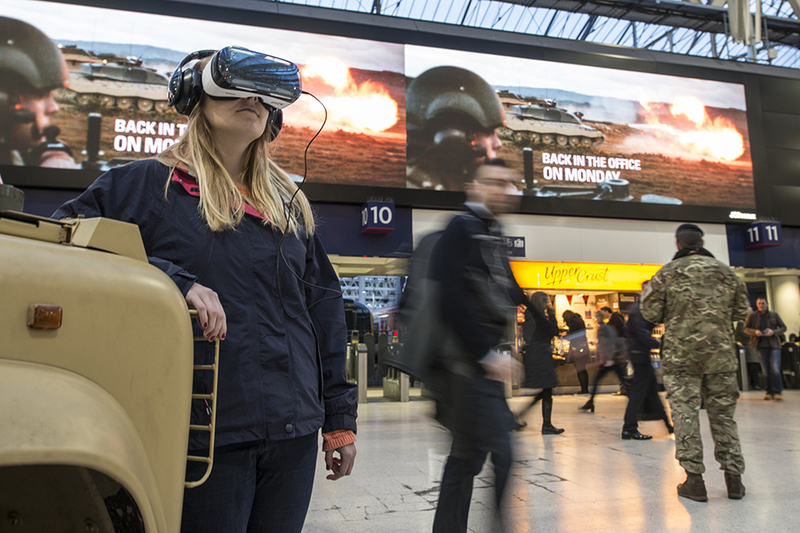 The British Army’s new reserve recruitment campaign launched today with a special event at Waterloo Station [Picture: Sergeant Rupert Frere RLC, Crown copyright]. This research tells us that people feel their jobs are lacking a challenge, excitement, the opportunity to travel and a decent salary – all of which are available at a world-class standard with the Army Reserve. No matter what your day job, the Army Reserve has something to offer you in your spare time, whether you want to use and improve your existing workplace skills, or try your hand at something completely different. You can travel the world, gain qualifications and benefit from confidence and leadership skills that will help you shine in your civilian career. 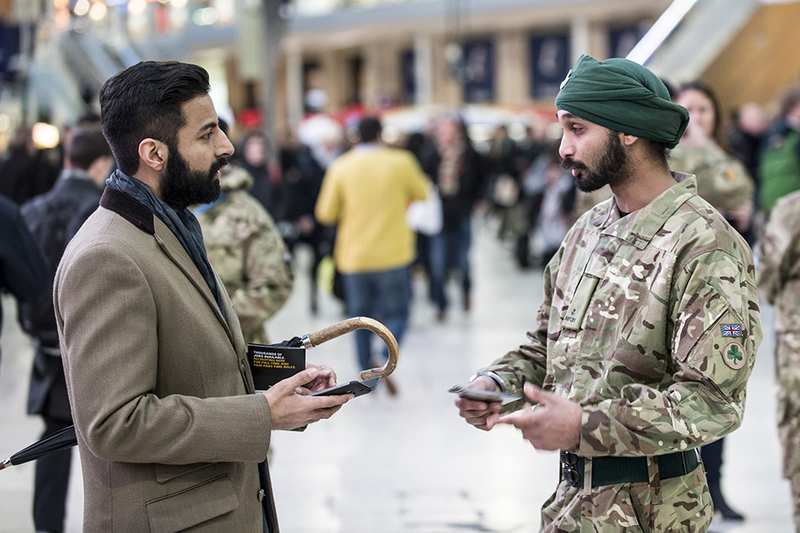 Rifleman Singh, 7 Rifles, talks to a member of public about joining the reserves [Picture: Sergeant Rupert Frere RLC, Crown copyright]. A public information campaign to highlight the role of the Army Reserve within the new Army structure supports the recruiting campaign, launching on Saturday 17 January. The ‘Normal Day’ campaign aims to demonstrate the importance of the roles the Army plays, at home and abroad, in a modern world undergoing significant regional and social change. The campaign launches as the latest independent research reveals a lack of recognition for the full breadth of roles the Army undertakes, and indicates that 1 in 5 Britons believe it is less relevant now than ever before. A member of the public tries out a virtual reality headset to get a taste of what life is like on an Army exercise [Picture: Sergeant Rupert Frere RLC, Crown copyright]. We have launched this campaign to improve understanding about what the Army does, but also to showcase the people that make our Army the force it is for good. These skilled men and women help to ensure normality is preserved for people at home and overseas and this campaign helps bring that to life for a modern audience who, in part at least, may question its future role and relevance. We are proud of the Army’s values and role which is absolutely to protect the United Kingdom and fight its enemies, but also to prevent conflict and deal with disaster. While we recognise the clear need to adapt and change with the times, our role and relevance is enduring. The Army is as relevant now, if not more so, than ever before amid these incredibly complex times.